CakeVase -- Now Anyone Can Decorate a Cake With Fresh Flowers! My wife and I co-invented a cake/food decorating product called the CakeVase. 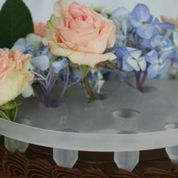 This novel product allows anyone to decorate any cake (or other food product) using fresh flowers which the device holds -- in water -- on the top surface of the cake. The product is injection-molded from food safe plastic. 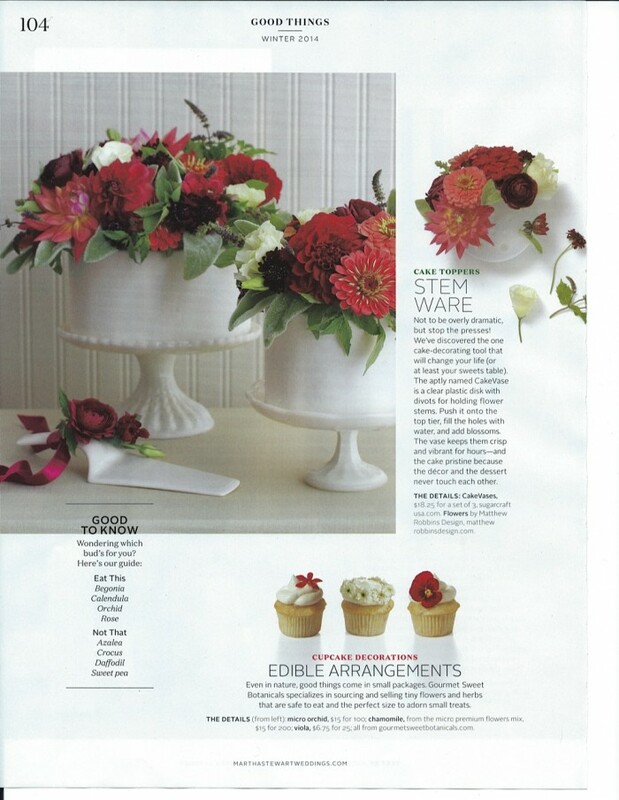 Also, look at the end of this listing to see photos (Picture #5) from the Winter 2014 Martha Stewart Weddings issue -- even Martha thinks the CakeVase is a "good thing"
The primary novelty of this device is that it is the only recognized and accepted way to decorate food items with real, live, fresh flowers while they are held in water (allowing them to stay alive and retain their decorative effect), all without subjecting the cake or food product to contact with water, pesticides or other contaminants or inedible materials. Users can create a bouquet-like effect, the decorative possibilities are limitless. 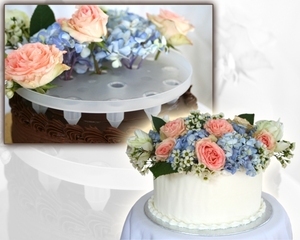 The use of fresh flowers in cake decorating is not unprecedented, but this is the only device that allows for use of multiple flowers and floral products to create a unique centerpiece or, indeed, masterpiece. 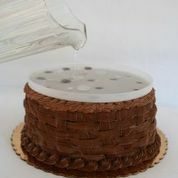 The CakeVase maximizes the creative options available to anyone wanting to decorate a cake, and it does so at a very modest price point. The CakeVase is a tool capable of jump-starting product sales in this market sector, and indeed helping to re-create and re-define the sector (or certainly one’s footprint within the sector). It is meant for use by anyone – it is not just a device for professionals and indeed, that is not likely the primary target audience. We invented this product in response to customers who would ask my wife (a professional cake designer who made flowers from sugar paste and other edible materials for high-end cakes) if she could use fresh flowers to decorate their cakes in a manner which mimicked the multiple flower, bouquet-like effect she created with her (handmade, edible) flowers. There was no acceptable way to do this, so we invented one. The public may not be fully aware of the danger of using fresh flowers to decorate food, and once they become aware of what they should NOT do without the CakeVase (for example, improper or unsafe methods of decorating food with fresh flowers), and what they CAN do with the CakeVase (safely decorate in their own unique, creative and cost-effective way), the product will both fulfill a need and solve a problem. 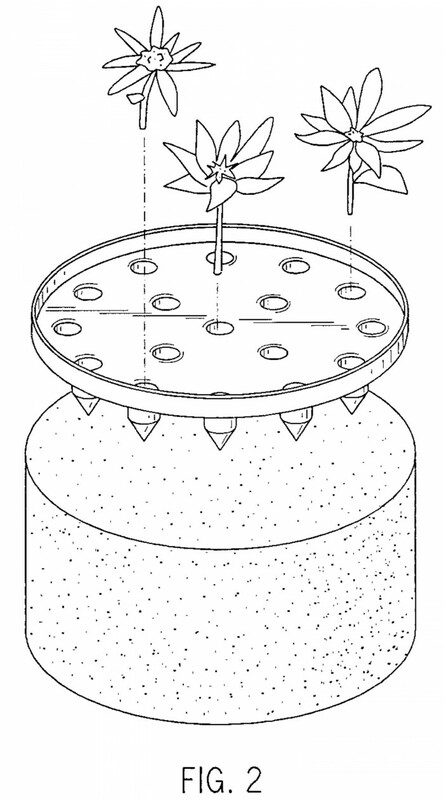 In 2012, we were issued a utility patent on the structural aspects of the CakeVase. This is USPTO Patent No. 8,276,315. A second utility patent was subsequently issued on a continuation application in November 2013 for our claimed “cake plus vase” combination. 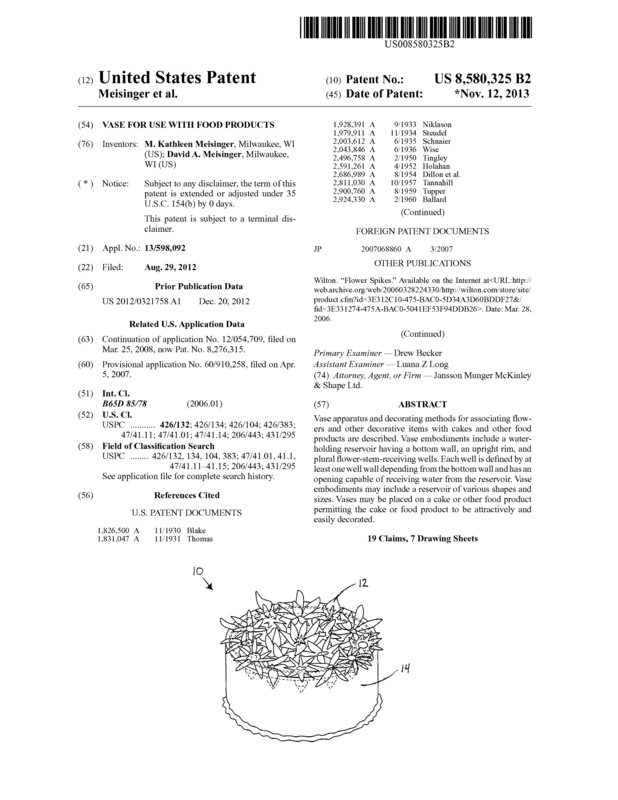 USPTO Patent No. 8,580,325. Finally, we obtained a broad method patent in June 2014 based a divisional application. USPTO Patent No. 8,739,462. In late 2012, we were issued a utility patent in Mexico similar to our first U.S. patent (IMPI Patent No. 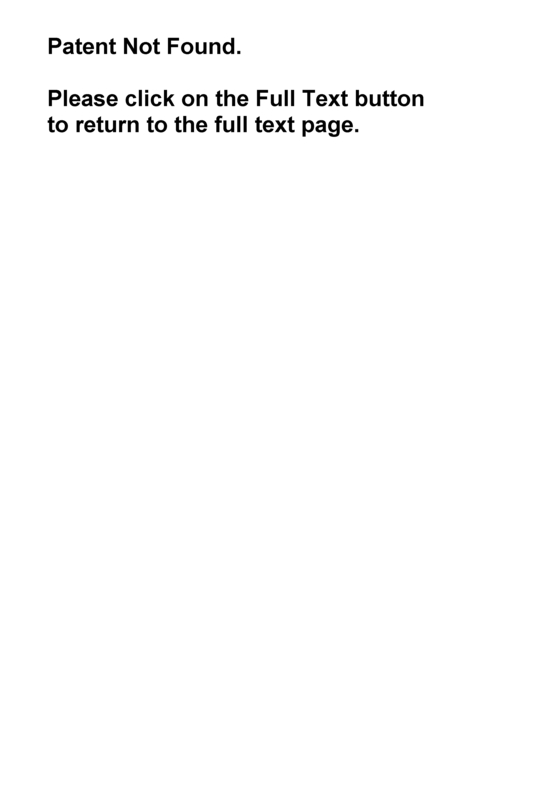 305089, granted on Application No. MX/a/2008/003866) (please note that the link below to this patent is incomplete, contact me for a copy). Finally, we still have pending, in Canada, a utility patent application, # CA 2627010, for which the issue fee has been paid and the patent will be granted in 4Q 2015. In addition to this intellectual property, we own (through our business entity) two steel injection molds which are used to create three size/shape varieties of CakeVase which fit standard sized homemade or store-bought cakes. These molds were manufactured in 2008, and are currently located in Wisconsin. To date, the product has been manufactured entirely in the U.S. The device is well-received by the industry, one of the pictures attached below is from the Winter 2014 Martha Stewart Weddings issue -- its a "good thing." Also -- the December 2013 issue of Cooking with Paula Deen featured the CakeVase, and it has been featured in additional online magazines. In 2008 we attended a single trade show and from that effort and follow-up efforts, made $75,000 in wholesale sales to customers that year. We have had renewed interest in 2014 based on our marketing efforts, including a nationwide retail debut with Hobby Lobby. Details about costs, wholesale and retail pricing, and post-2008 sales activity are available upon request. (6) What Do We Want? We believe a properly situated, motivated investor will have tremendous success with the CakeVase. There is nothing like it in the market, and our intellectual property is strong in content and broad in scope. The product could emerge as a significant source of revenue, well in excess of what were able to accomplish with our minimal and unsophisticated efforts. The market for this type of product (do-it-yourself-ers, crafters, anybody who likes to do something new or unique, anyone looking for an inexpensive gift idea, anywhere you can buy cakes, anywhere you can buy flowers, anywhere you buy inexpensive household items, the internet) should allow for a significant upside. The missing ingredient is widely introducing the product to the public. We would consider various forms of partnership or licensing, but our strong preference is to sell our intellectual property and related assets outright, and step aside. We are also willing to enter into exclusive or non-exclusive brokerage arrangements in order to sell these assets. We have reasonable expectations regarding the current value of these assets. Please contact me (through this website, or at [Use the button below to contact me]) if you have any interest in pursuing this opportunity and/or to request additional information. Page created at 2019-04-25 20:05:35, Patent Auction Time.